Camp Hearne, WWII POW Camp in Hearne, Texas. One of the largest Prisoner of War Camps in Texas during WWII. The population was larger than many Texas county seats. 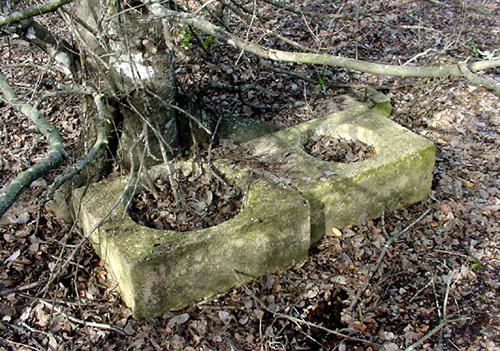 Two cement relics of the camp. 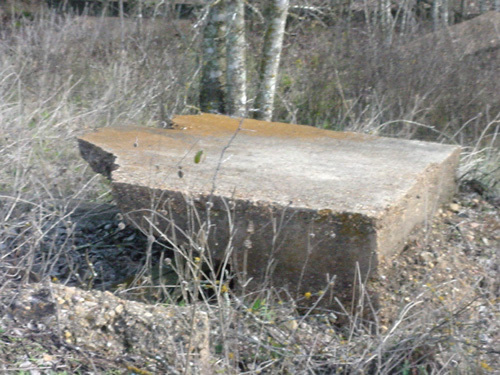 Remains of a cement foundation. 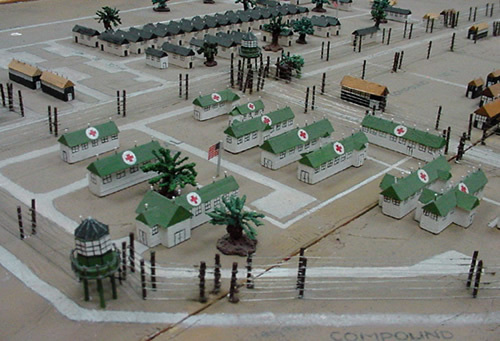 A scale model of the camp - constructed by prisoners of the women's prison in Gatesville can be found somewhere in Hearne. During our visit it was upstairs in the city hall building - although it may have been moved. A view of the camp model. 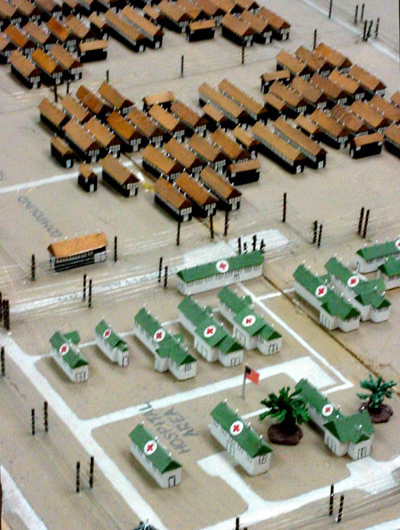 A portion of the Camp Hearne model. 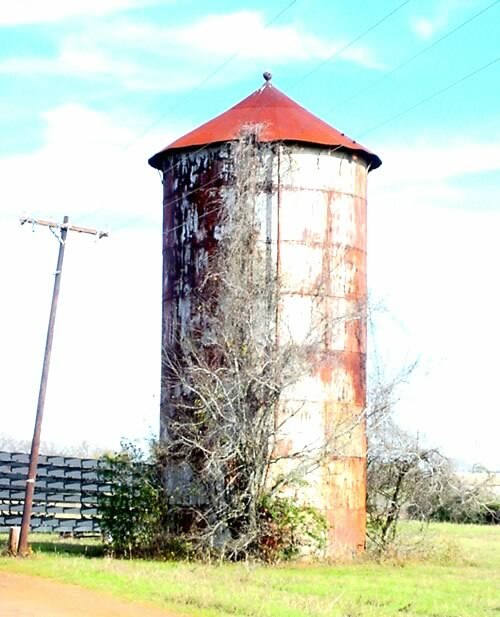 Anyone wishing to share stories, memories or photos of Hearne, Texas, please contact us.